It’s no secret that Asheville can be an expensive place to live. For renters, monthly costs can be sky-high and can make the prospect of homeownership seem like a dream come true. Unfortunately, the up-front costs of owning a home in the city of Asheville can be prohibitive for many. 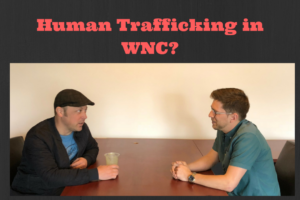 For some buyers, the solution … Continue reading Human Trafficking in WNC?? ?